Listen to the Danish String Quartet. 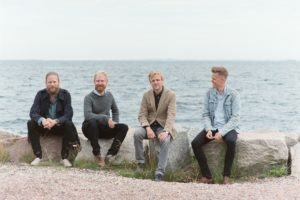 Already well known as masters of traditional classical repertoire, the Danish String Quartet are passionately committed to sharing folk music from their home country, as heard on two highly popular albums of old Nordic melodies and dances, Wood Works and Last Leaf. In a program focused solely on this music, the Danes’ crystalline sound shines through on moving ballads, energetic jigs, and everything in between. Violinist Rune Tonsgaard Sørensen also appears in this Washington Performing Arts season with Dreamers’ Circus on April 10. This performance is made possible through the generous support of an anonymous donor.